This was originally posted on El Solà d’Ares, a blog by Catalan wine and olive oil craftsman, Antoni Sánchez-Ortiz who is working in New Zealand right now. 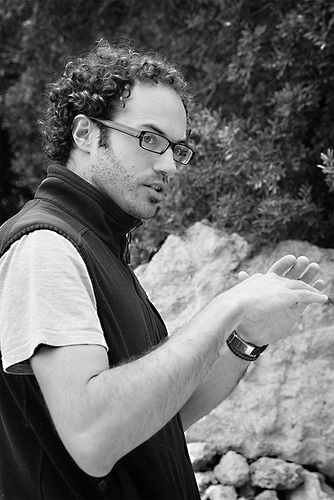 He’s also the enolog behind the fantastic Melis Priorat wines which we were very fortunate to taste recently. He let us post this here because we wanted to share this really fantastic account of Malbec from different wine region viewpoints. Malbec is known as a purple grape variety used in making colorful red wines. The grapes tend to have an inky dark color and robust tannins, and it is allowed amongs the six grapes used for the blend of red Bordeaux wine. The French plantations of Malbec are now found primarily in Cahors in South West France. It is increasingly celebrated as an Argentine varietal wine and is being grown around the world. Called Auxerrois or Côt Noir in Cahors, or Malbec in Bordeaux, this variety became less popular in Bordeaux after 1956 when frost killed off the vast majority of the crop. Despite Cahors being hit by the same frost, which devastated the vineyards, Malbec was replanted and continued to be popular in that area where it was mixed with Merlot and Tannat to make dark, full-bodied wines, and more recently has been made into 100% Malbec varietal wines. In the adventure of El Solà d’Ares travelling the word to get to know better this emerging variety, David Barriche in Cahors -Bordeaux- and Antoni Sánchez-Ortiz in Elk Valley -New Zealand- have had different impressions about this such shiny variety from the two most opposite sides of the world. Here we offer you such impressions, dear followers. We have recently done different visits: Château du Cèdres and Château La Grazzette in Cahors, whilst the other visit at Elk Valley was on the other side of the planet in the hottest region’s New Zealand, Hawke’s bay. 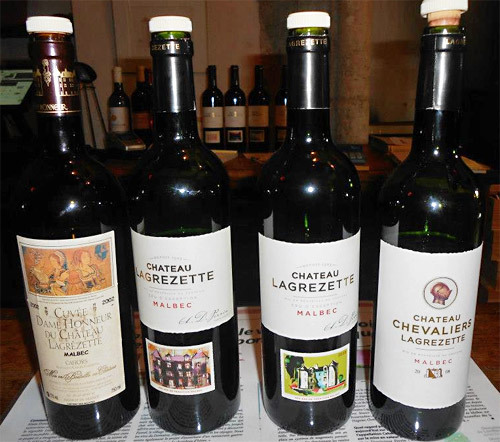 Last Friday, we traveled to Cahors in order to better understand the development of Malbec in France. Cahors soils are characterised with very different properties, but where clay limestone is the predominant character that conferes the wine, its high acidity, getting well balanced wines in mouth and very ripe in the nose. Although tasting old vintages, these wines can still be alive for a long time into the bottle. So tanins are still there. The three different parts their vineyards are situated on the two best soil types of Cahors. The largest plot, 12.5 hectares, is oriented southwest and was formed on co alluvial lime stone soils. They call this argilo-calcareous, very rocky ground that plays a huge role in thermoregulation and water supply “Tran”. The wines produced in those vineyards are particularly straight and long, showing very fine tannins. The two other plots (5.5 hectares and 7.5 hectares) are oriented straight south. They are a mixture of pebble stones and ferruginous red sands at the surface and siliceous earth and clay below. The wines from these vineyards show power, density and texture. The vineyards of Cahors lay within a triangle formed by the ocean, the Pyrenees and the Mediterranean Sea. Our climate is influenced by the Atlantic until June, and clearly becomes Mediterranean in summer. Furthermore, the river Lot and the southerly wind have a positive influence on our vineyards: the wind chases the clouds, promising enough sunshine for the ripening of the grapes, while the waters of the Lot cool down the nights and relieve the vines. Our grapes ripen under “healthy” conditions, without suffering from drought. Up on the third terraces of the Lot, malbec represents 85% of the vineyard, (13% merlot and 2% tannat). Its limestone-clay and silica soils give the wines their clearly-defined character and authenticity. Great care is taken with the vines (manual leaf- thinning, ventilating ), and with the grapes (picking and sorting by hand) in order to preserve the aromas that distinguish high-quality wines. The excellence of this wine it is not only in the Bordeaux blend. Its youthful colour comes from the Malbec, giving the wine not onlyb its colour but alseo the notes of earth and spice, added with a backbone of acidity. They use 23 vessels nestled on the upper level of their three-story winery building that makes their wines to play an important role from this Estate. They use several tecniques for color and tanin extraction but the most important thing is that the Esk fermenters are set into the ground and the subsoil temperatures regulate the ferment temperatures, naturally ensuring a ferment temperatures in the vicinity of 28-33ºC. Pierre Simonet, a Basque winemaker, has taken the Old world to the new to make wine from beautiful terraces mixing traitional and new world techniques. I was very surprised to find Malbec in New Zealand, as I thought it would not fi in New Zealand climate. But the fact is that plantings of Malbec in new Zealand have increased from 19 hectares in 1994 to 168. The total hectares planted in this old Bordeaux variety may not seem significant but its importance is the influence that Malbec has on Bordeaux style reds. It is a variety that suits New Zealand‘s cooler climate although it is susceptible to rot in humid climates. It ripens early and shows little signs of herbaceous characters even in poorer years. It is renowned for its deep colour and ripe, fruity characters that can be very attractive. In New Zealand it is used mainly as a blender but there are some straight varietals that are worth a second look. The grape clusters of Argentine Malbec are different from its French relatives, having smaller berries in tighter, smaller clusters. This suggest that the cuttings brought over by Pouget and later French immigrants was a unique clone that may have gone extinct in France due to frost and the phylloxera epidemic. Argentine Malbec wine is characterized by its deep color and intense fruity flavors with a velvety texture. While it doesn’t have the tannic structure of a French Malbec, being more plush in texture, Argentine Malbecs have shown aging potential similar to their French counterparts. The Mendoza region is the leading producer of Malbec in Argentina with plantings found throughout the country in places such as La Rioja, Salta, San Juan, Catamarca and Buenos Aires. Argentina’s most well-known Malbec wines have its origin from Mendoza’s high altitude wine regions of Lujan de Cuyo and the Uco Valley. These Districts are located in the foothills of the Andes mountains between 800 m and 1500 m elevation (2,800 to 5,000 feet). We owe you a Obiously a more precise visit to Argentina next year. The interest for the upcomming wine knowledge is something to be done by El Sola d’Ares, to always offer you our point of view! Great to show this post with you!! I will let you know my other impressions whilst I will be in New Zealand!!! Thank YOU for sharing your impressions! We’re looking forward to meeting up in person when you’re back and hear more about New Zealand. Cheers!! !